This blog takes me on a daily journey to find the most interesting things to post for my readers. Whether it be a play, must try recipe, a person of interest or scouring the web for the perfect real estate stalking property. However, my latest adventure last week had to be one the best so far. 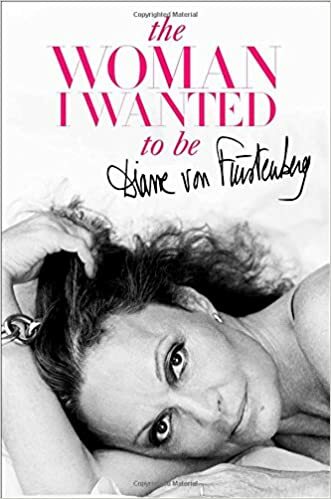 I went to the Metropolitan Museum of Art to hear Diane Von Furstenberg speak about her life, her accomplishments, her disappointments and so much more. She was so candid and animated, that I was just in awe of this amazingly talented lady. Her clothes have always been so iconic. Who would not love to have a closet full of DVF? But, Diane, the woman, is so much more that her brand. She is so inspirational with her mission of empowering women. She believes a women should be independent and always be her own person and be able to reach her goals without being afraid. This and more is chronologized in her book The Woman I Wanted To Be. Over this Christmas break, I intend to listen to the audio version of the book because I want to hear her life story in Diane's own voice. You can buy the book or audio book HERE! Happy Reading (or listening).